Prestigious modern managed office space. An ideal venue for meetings, training, seminars and interviews. 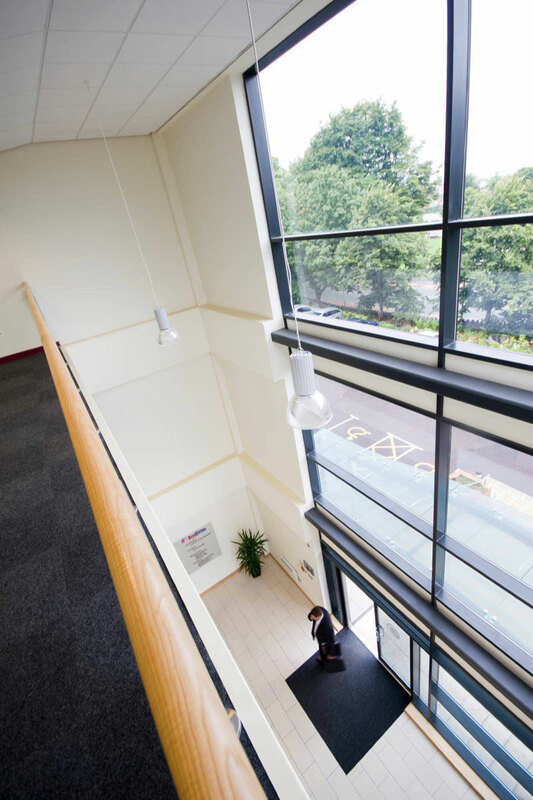 A variety of serviced offices in a professional environment. An Eirias "Office" is the solution to your remote office requirements. A variety of virtual office services to support your administrative needs and enhance your business image with a professional business address are offered without the expense and commitment of leasing an office. Individually designed and built in-house to a very high specification, the workings of our properties are known inside out and the exceptional standard of construction and workmanship has been recognised by the North Wales Building Excellence Awards with Princes Park 1 being the Commercial County Winner in 2006 and Bryn Eirias awarded the Large Commercial County Winner in 2009. All our properties are conveniently located just 2 minutes from the A55, the principal route into North Wales which provides fast access to the UK motorway network. Manchester and Liverpool John Lennon airports are just over 1 hour’s drive away and Ireland is also accessible with the port of Holyhead a 50 minute drive away. Colwyn Bay train station is within easy reach making London Euston only 3 hours away and Cardiff a 4 hour journey. This is an office space display website featuring our quality office space to let including serviced or managed office space serving North Wales from our centre just off the A55 in Colwyn Bay, in the County of Conwy – Images featured in the website are all of our well appointed modern office space complete with full parking facilities. Services also covered include our virtual office space giving an address and a place to meet without the expense and commitment of leasing an office.